It's All About R.E.S.P.E.C.T. - Website of voiceconsulting! 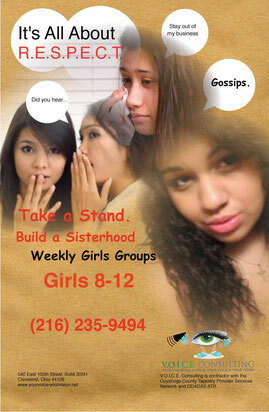 This program is offered to girls 8 -12. There are five sessions designed to allow participants to express their feelings and discuss those issues which destroy the sisterly bond among girls.